and shot at a man who was allegedly driving a stolen truck filled with gas bottles at full speed towards the city centre. Officers rushed to the scene following reports of a speeding vehicle going the wrong way down a dual carriageway. 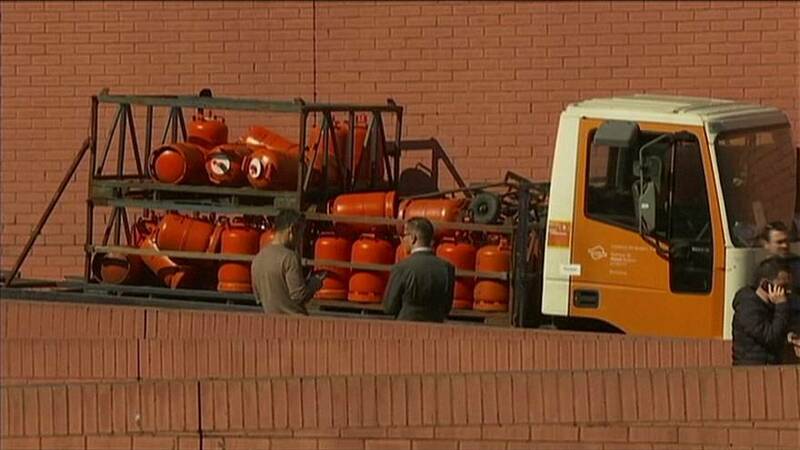 At least one person is said to have been hurt by a flying gas canister. Authorities have ruled out a terrorist attack and say the man behind the wheel, who’s now under arrest, is Swedish and suffering from psychiatric problems.